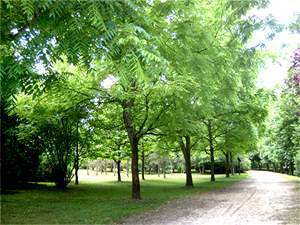 The arboretum of Montmorency, in 1/4 an hour of the thermal centre,presents a botanical park with approximately 250 different essences of trees among which 90 sorts of conifer, 95 of the broad-leaved trees and a whole range of shrubs and shrubs. Conceived just like landscape gardens, this botanical park covers more than 3 hectares the space of which is distributed according to 5 continents. Every tree possesses its history which a guide will take time to tell you during organized Visits. The arboretum of Montmorency can be proud of possessing some specimens as cypress bald, a ginkgo biloba or another a blue spruce of the Colorado.